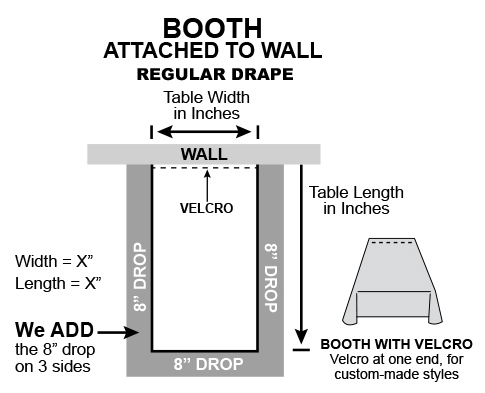 Vinyl Table Covers, Upholstery and Laminated Fabric | Americo Inc.
All table runners will be precision cut and sewn with a 1/4" hem. 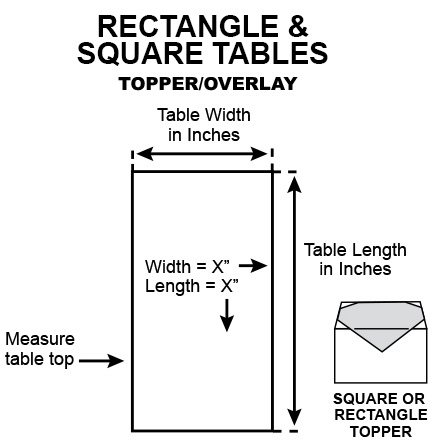 Standard drop for table toppers and overlays is 8”. 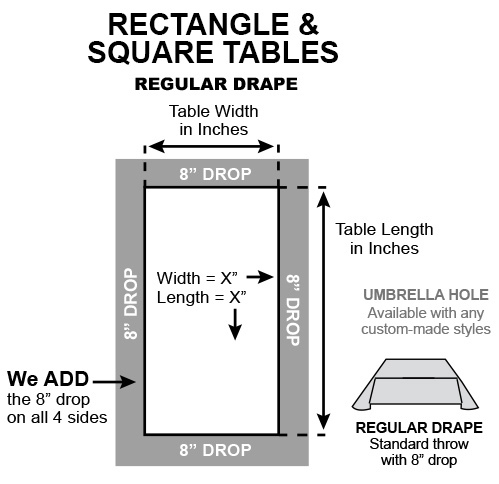 Standard drop for table runners is 8”. 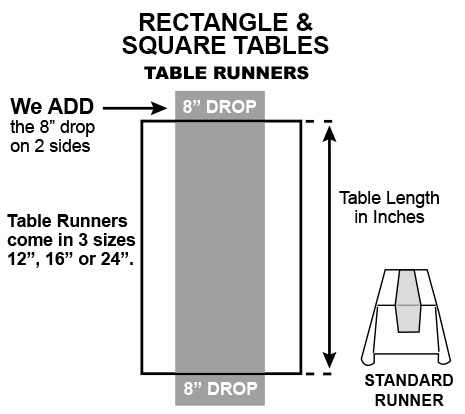 Runners are sewn with squared edges and are not reversible. 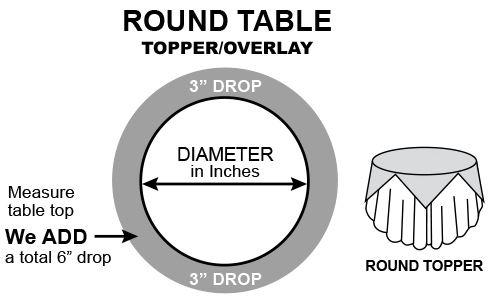 Please Choose 12" 16" 24"
For a quick reminder on how to measure for different table styles and accessories, choose from a table cover style below. For complete instructions, visit our measuring page. 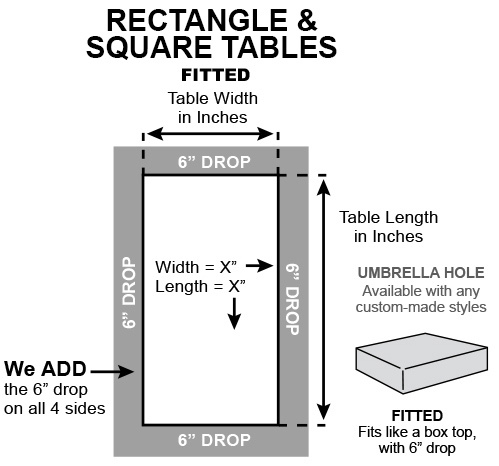 Measure the width of the table, then the length in inches (examples: 24” x 42” or 24” x 24”) Specify optional umbrella holes. 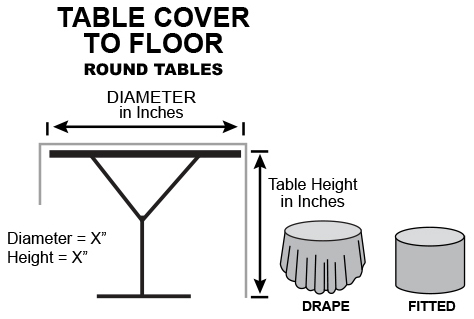 For round tables, measure from side to side across the middle of the table. 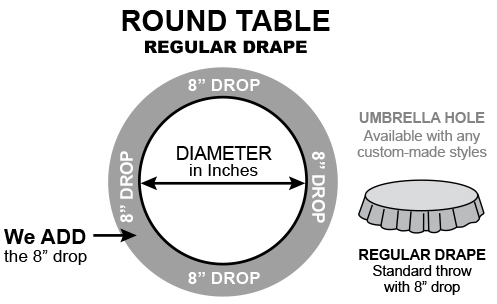 (example: 30”) Specify optional umbrella holes. 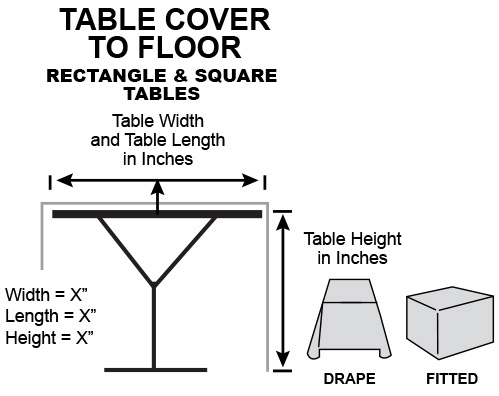 For covers that drape to the floor, measure taple top and measure from the top of table to the floor. 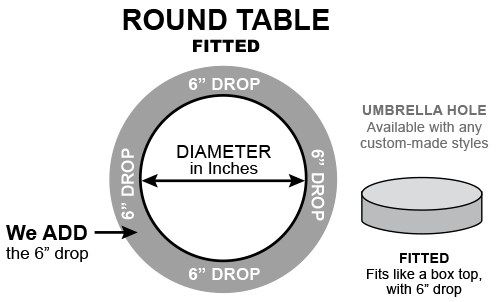 Specify optional umbrella holes. 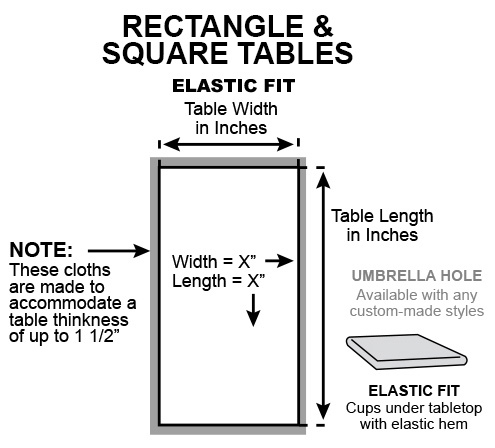 Measure the length of the table. 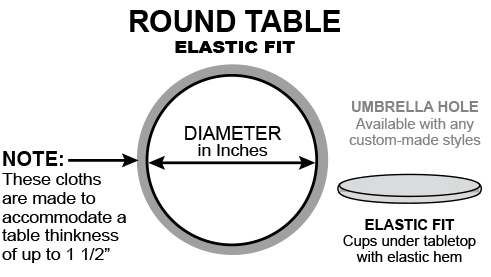 Determine how wide you want the runner to be—12”, 16” or 24”.